Khadine Phillip could finally sleep at nights. 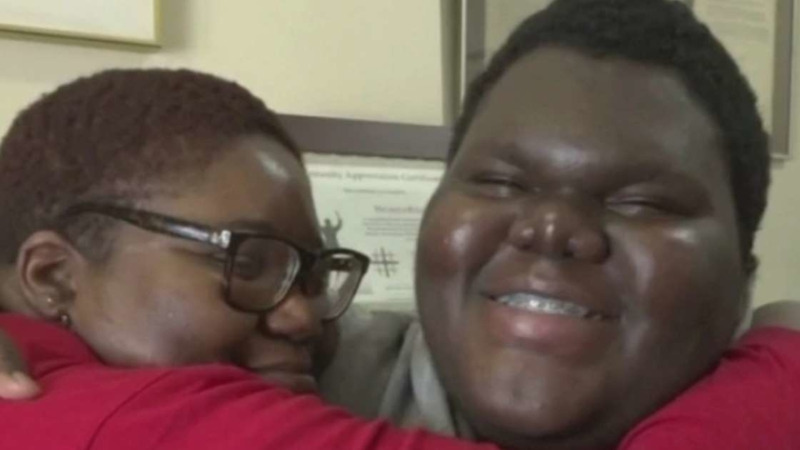 Her son Dylan Chidick, who made headlines across the United States when he got accepted into 17 universities, has selected the college he wants to attend. That school, the College of New Jersey, was Chidick’s 18th offer and the one he had been waiting for. “I am excited. I could sleep in the nights now cause he is not going to wake me up to ask if they are going to call him,” she said with a laugh. 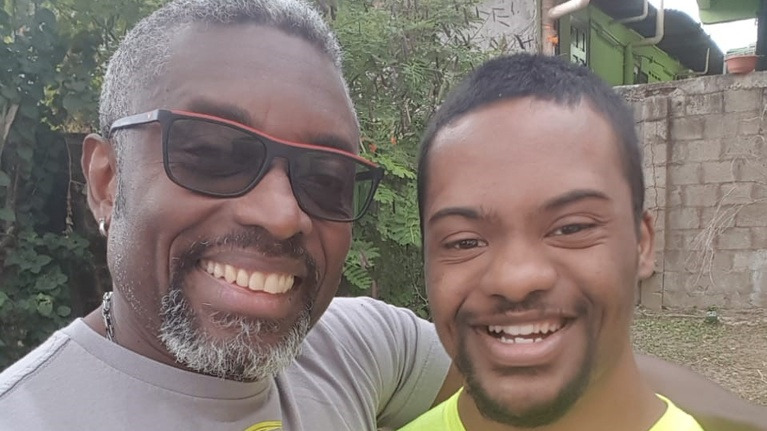 Chidwick’s story was made even more poignant because he and his family were homeless at one point and the family has struggled with various health issues. But despite the hardships, his mother has worked hard to ensure he and his siblings make the best of their opportunities. Speaking to Loop from her New Jersey home, she said she lived with her mother and grandmother and gave birth to Dylan shortly before leaving the country of her birth. When her mother migrated and applied for her, she was forced to leave Dylan behind as she needed to be on US soil before her 21st birthday. “I was still breastfeeding him when I left. He was 10 months going on 11,” she recalled. 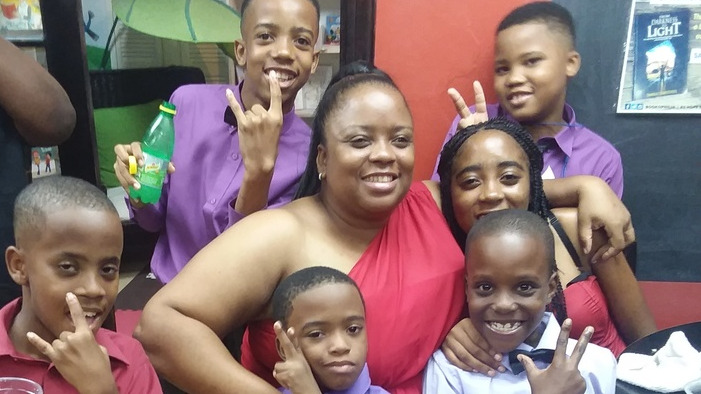 It would be seven years until she could reunite with her son, although she traveled frequently between the US and T&T to see him in the intervening years. “I just wanted him to have an education, to dress properly, walk properly, speak properly,” she said when asked of her dream for her son once he joined her in the US. A typical West Indian mother, Khadine didn’t spare the rod when it came to ensuring her son was disciplined. “My thing was that I am bringing him up so I am training him the way I was trained. That was always my mindset,” she said. Khadine lived with Dylan and her younger twin children in Brooklyn but was forced to move when the rent was jacked up from $1800 to $2500 a month. Added to the stress was the fact that the twins were born with Aortic Stenosis Disorder, a heart condition that restricts the blood flow from the left ventricle to the aorta. She found a cheaper apartment in Jersey City but fell ill and lost her job so she couldn’t afford the new rent. The family ended up in a homeless shelter. Today, the family lives in an apartment on Khadine’s disability grant. She disclosed that since her illness she has been unable to work. Dylan’s achievement, she said, comes at a time when it is well needed. 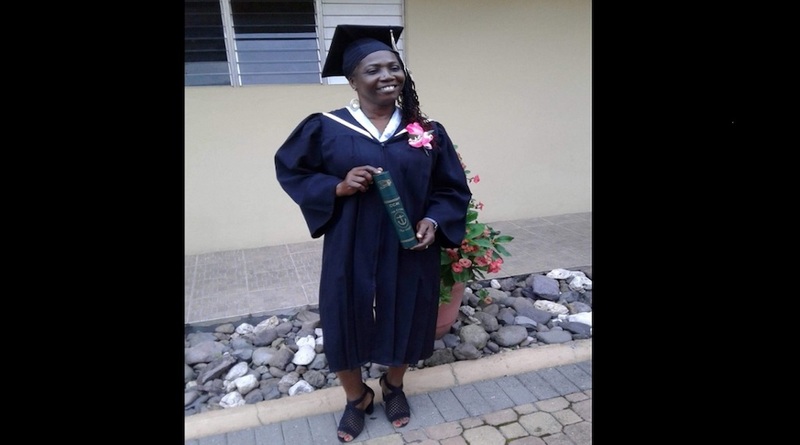 “It is a feel-good achievement for everybody so I am happy to share and let everybody know a child who has been through so much difficulty in life can just move up,” she said. His accomplishment has also provided inspiration for her now 11-year-old twins who look up to their older brother. Advising parents who may be going through hard times and wanting the best for their children, Khadine said: “Try and don’t give up and pray, take your problems to God. Try not to put stress on kids for them to know what is going on. I didn’t tell my kids what was going on so they wouldn’t have the burden of that stress. Try and talk to God and get somebody you could trust and talk to them too. That is the only way you can persevere,” she said.